Wise County, Virginia is in the coal fields of the southwestern part of the state. This area is known for both bluegrass and old time music, and is famous for being close to the stomping grounds of Ralph Stanley. Wise County is also the home of Dock Boggs, a famous songwriter, old time singer, and banjo player and bluegrass legends, Jim & Jesse McReynolds. The clawhammer banjo style in the Wise County area is more of an “up picking” rather than the down picking of other Southwest Virginia areas. Bluegrass and old time music are very much alive in Wise County today, and are growing with the three JAM programs. In addition to bluegrass and old time music, legendary blues singer, Carl Martin, was born in Big Stone Gap. 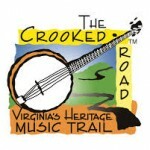 WiseJAMS – Big Stone Gap/Appalachia is partnered with The Crooked Road, Virginia State Parks, Friends of the Southwest Virginia Museum, Wise County Public Schools, Mountain Empire Older Citizens Transit, the Town of Coeburn, the Town of Big Stone Gap and Wise County. The WiseJAMS – Big Stone Gap/Appalachia program is held every Thursday from 3:30 – 5:30 p.m. at the Southwest Virginia Museum Historical State Park in Big Stone Gap. The program serves children grades 4-8 at Powell Valley Primary/Middle and Appalachia Elementary. WiseJAMS – Big Stone Gap offers lessons on fiddle, banjo and guitar and also feature an enrichment class and advanced string band class.The group will be performing at Big Stone Gap’s Home Craft Days festival, the Lee County Tobacco Festival, and Appalachia October Festival.